Dream Construction Company specializes in condo remodeling, and other types of high rise remodeling in Las Vegas. 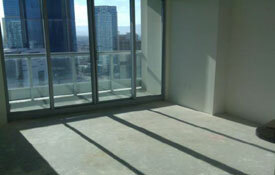 We are a licensed, insured and bonded contractor for luxury high rise apartments, lofts, office, and condo remodeling. Before your project begins, we will work with your property management company or association to make sure that we are using the correct procedures regulated by the management of your building. After the project is approved, we will be sure to notify neighbors about the project occurring. Our goal is to offer you the best customer service and get you the exact look you want, completed in a timely matter. The Dream Construction team has the knowledge and expertise to complete the project to your exact specifications. Our designers and architects will work with you to create a beautiful modern design for your project. Our craftsmanship and professionalism will exceed your expectations. Our company offers condo remodeling services that include adding new carpets and floors to every room and we will repaint the walls to your specifications. We can replace your front door, sliding glass doors and windows to give the room a fresh, clean and modern look. We will approach every room with a redesign that fits your vision. Let us help you attain the upscale lifestyle you desire in each and every room of your space. Don’t trust your high rise remodeling project to just anyone and don’t put off getting the space of your dreams another minute. 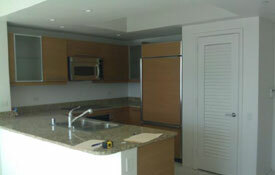 Dream Construction Company offers the most competitive condo remodeling and high rise remodeling rates in Las Vegas. We will turn your dream into reality. Let is transform your condo, high rise, apartment or office into a modern, luxurious space you love to be in. Your satisfaction is our goal. Call us today for more information about high rise remodeling in Las Vegas.